Make combinations of parks, cenotes, and archaeological sites to enjoy custom vacations. Choose 2 experiences and get 20% off on your purchase. Choose 3 or 4 experiences and get 25% off on your purchase. All Parks and Tours include round trip transportation. None of these Parks include transportation. *Price subject to change according to season. Children from 5 to 11 years old get half off the adult ticket price. Children over 4.5 ft but under 12 years of age, must show an official ID to verify their age (passport, school credential or birth certificate). We offer you an online shopping experience that is safe and secure. In addition, you can have travel assistance during your trip. Click here for more information. 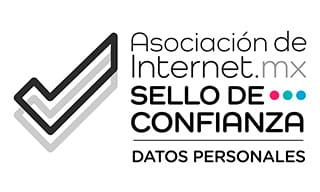 Only at the official websites you will find the lowest rates guaranteed. Buy online and save more with the Admission and Tours packages! Your coupon is good for 1 year starting from the date of purchase and has a guarantee against bad weather which you can make valid only 24 hours prior to the day of visit. Date changes cannot be made on the same day of your visit. Terms and Conditions apply. Without transportation: you have 7 days from your first Park visit to visit the remaining Park (one per day). With transportation: you have up to 15 days from your first visit to take the rest of your Tours (one per day). 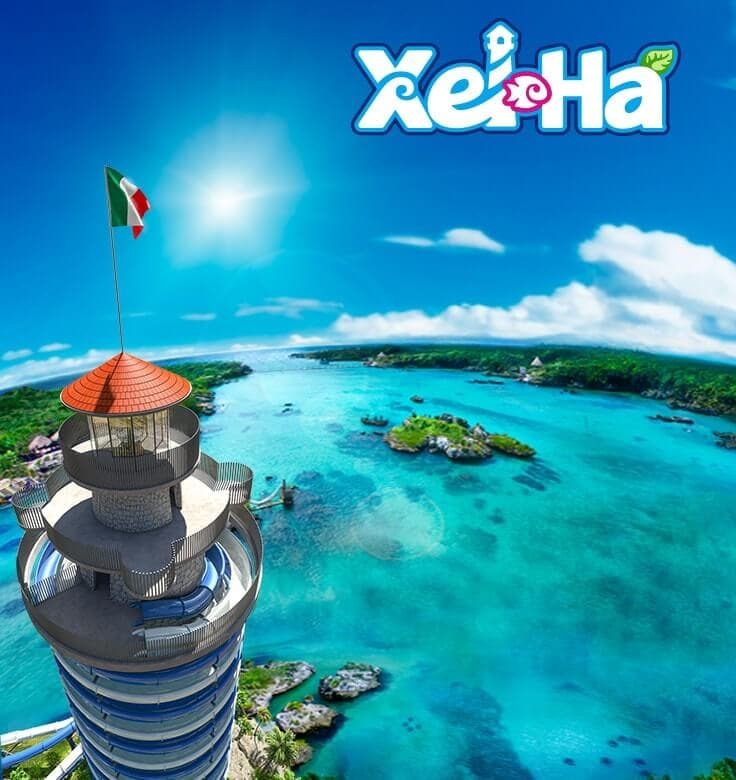 When arriving at Xcaret, Xel-Há or Xplor, you can hand your printed coupon at the special ticket booths to make your entrance easier and faster. 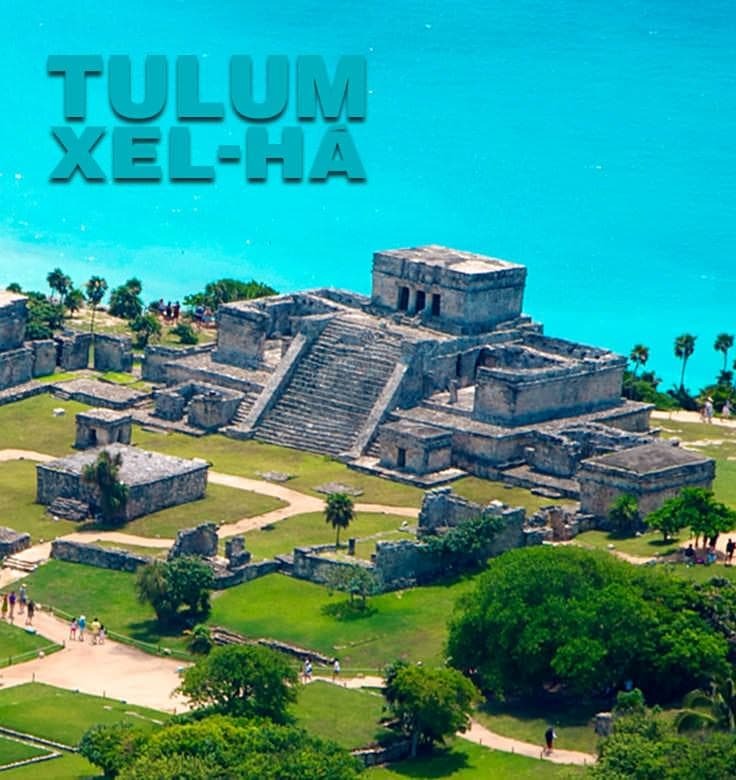 The minimum ages recommended to enjoy the Parks and Tours are the following: for Xplor, Xplor Fuego, Xenses and Xoximilco the minimum age required is 5 years old, and for Xenotes Oasis Maya 6 years old. Xcaret, Xel-Há, and the tours Xichén, Cobá-Xel-Há, Tulum-Xel-Há and Cobá-Tulum don’t have a minimum age. 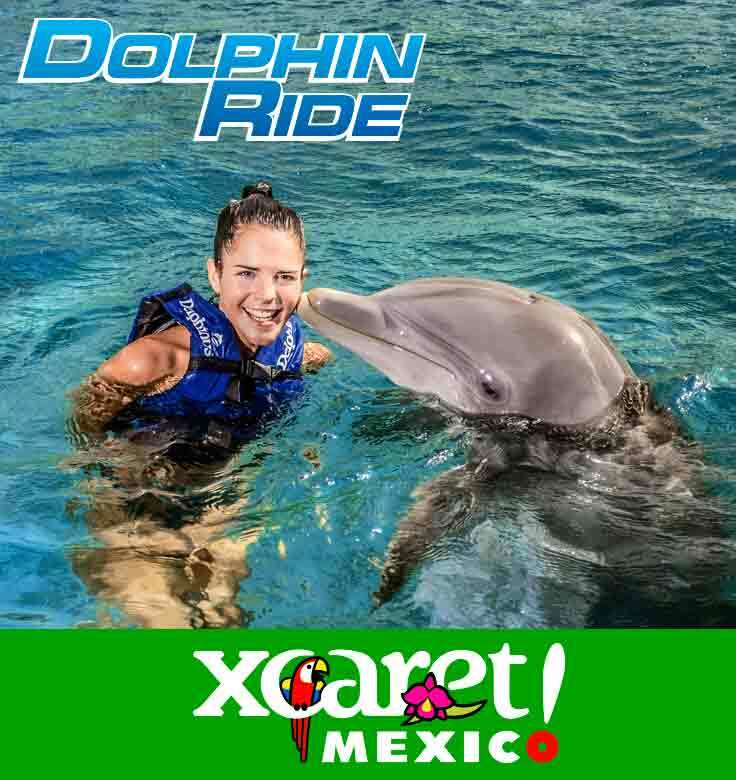 Dolphin Ride is valid only with the purchase of Xcaret Tour (with transportation) on the same day of your visit. 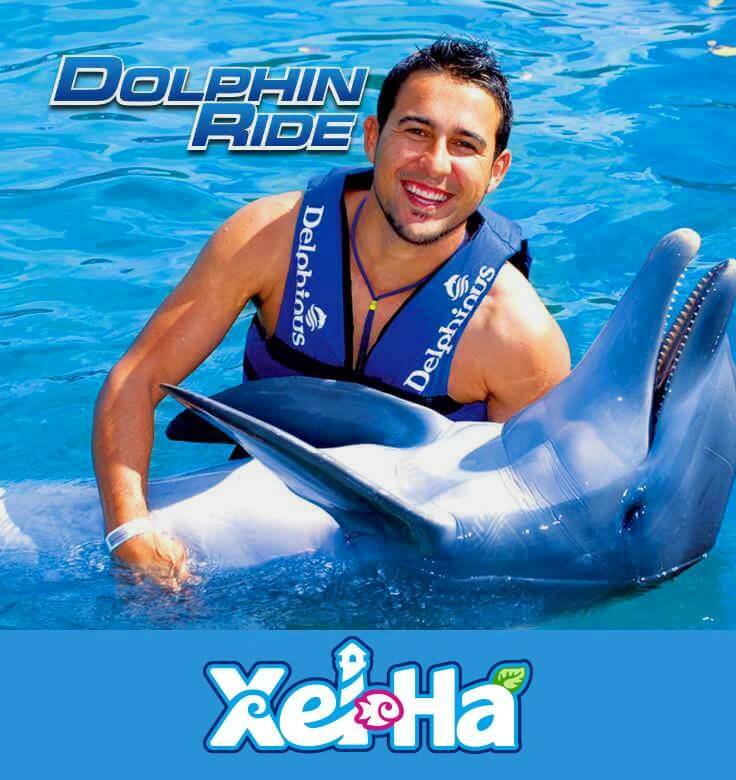 Swim with Dolphins Interax is valid only with the purchase of Xel-Há Tour (with transportation) on the same day of your visit. Both activities are recommended for children over 8 years old. Children under the age of 8 must be accompanied by an adult (both pay). For packages With Transportation, the departures are between 7:00 a.m. and 9:00 a.m. depending on the Tour or Park selected and the location of your hotel. The exact time of your pickup will be indicated on your coupon when the purchase is complete. You can also confirm your pickup time through our Contact Center. Your coupon is valid for 1 year (change of date applicable only 24 hours prior to your visit). It includes a guarantee against bad weather that you can make valid before using your coupon (which is non-refundable). For Packages With Transportation (Tours) you have 15 days from your first visit to go to the next Park or Tour (one per day). If you choose Admission Only (Xperience), you have seven days to visit (one per day). In both cases, you must wear the same bracelet for each visit. 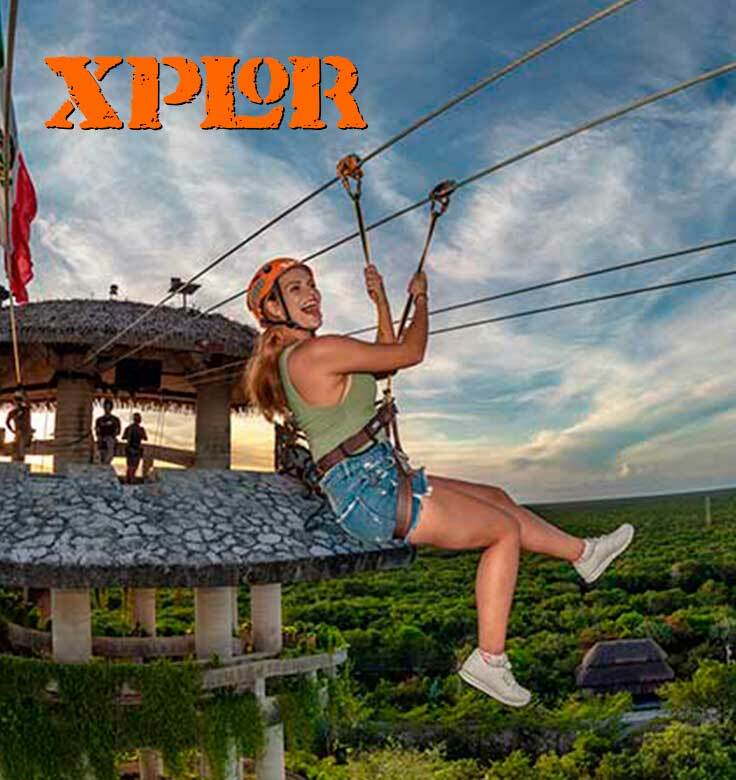 At Xplor, Xplor Fuego and Xenses, to guarantee your safety and to ensure that harnesses are comfortable and fit each of our visitors correctly in the zip-line activities, a minimum weight of 88 lbs (40 kg) is required, and a maximum weight of 300 lbs (136 kg). The maximum circumference of the harness around the waist is 55 in (140 cm) and 30 in (75 cm) around each leg. Bring swimsuit, comfortable beachwear and a change of clothes. To avoid affecting the natural balance of the ecosystem, only the use of sunblock and sunscreen containing titanium oxide and zinc oxide is allowed in the Park. Join the program of using biodegradable and chemical-free products! Remember to bring cash or credit card to buy souvenirs and for personal expenses. Help us to protect and preserve the beauty of Cancún and Riviera Maya! The Tours and Parks Packages that are perfect for you! Combine the experiences to your liking and spend unforgettable moments. 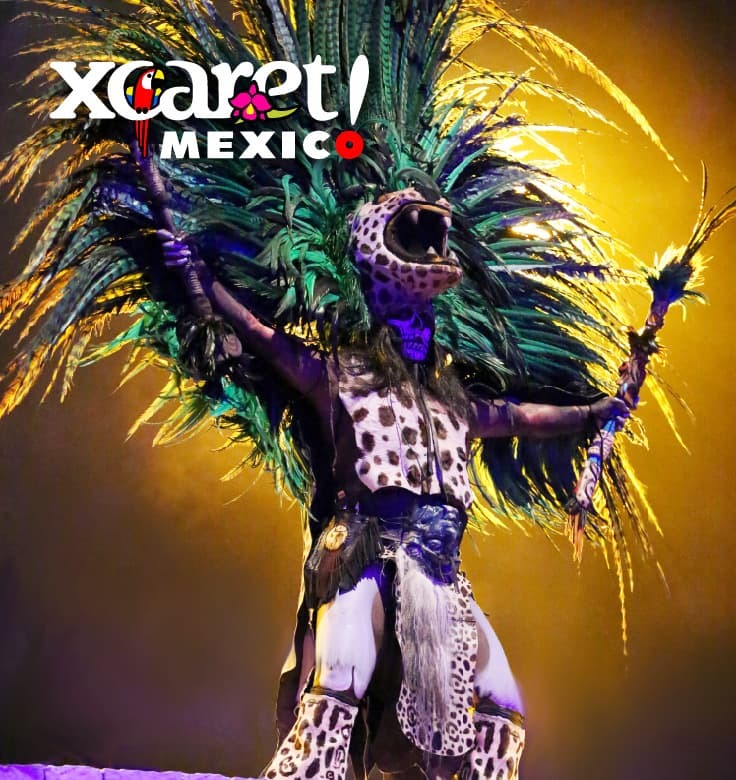 Enjoy Xcaret, Mexico’s Majestic Paradise, with more than 50 nature and cultural attractions. 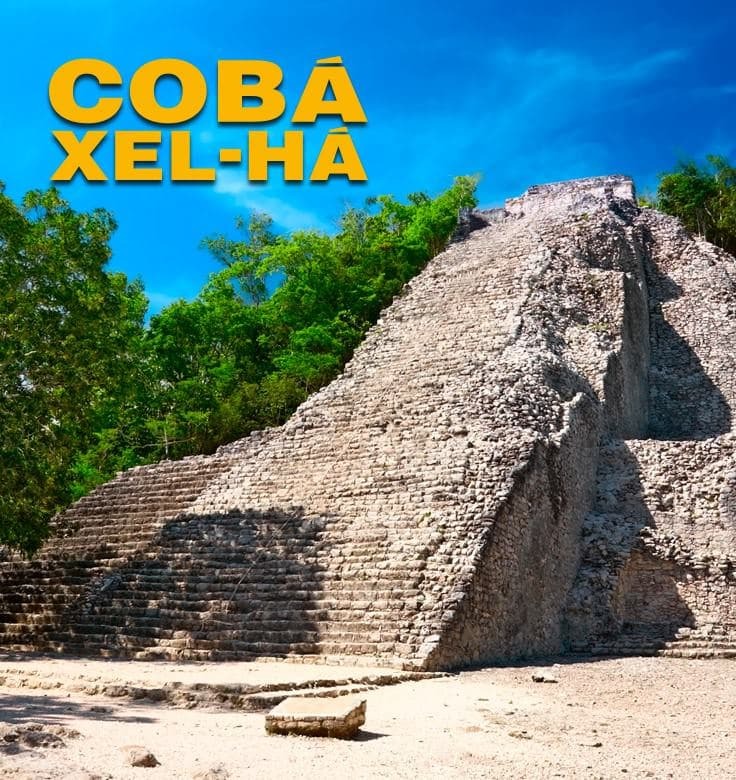 Heaven is a lot closer in the Hidden Wonder that is Xel-Há. 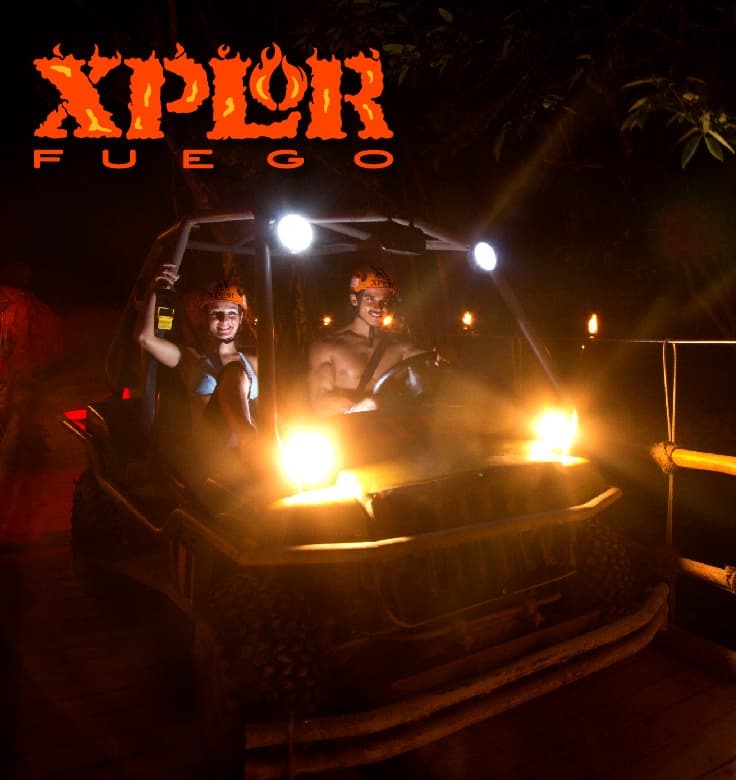 Explore the sky, the surface, and the inside of the planet during the day at Xplor and during the night at Xplor Fuego. Be amazed at Xenses, a park where nothing is what it seems. 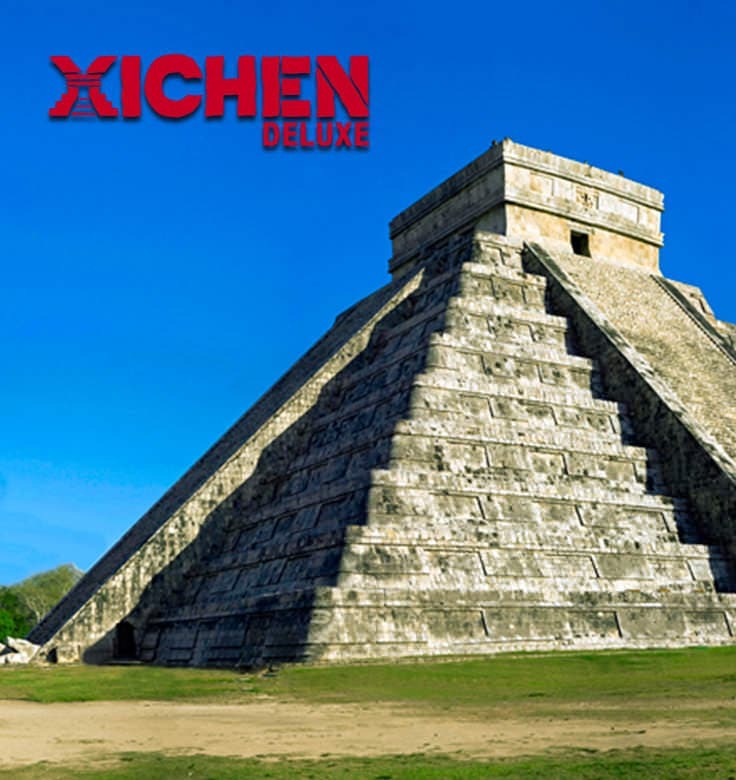 Discover the secrets of the Mayan world with the Xichén tours that take you to Chichén Itzá, Cobá and Tulum archaeological sites. 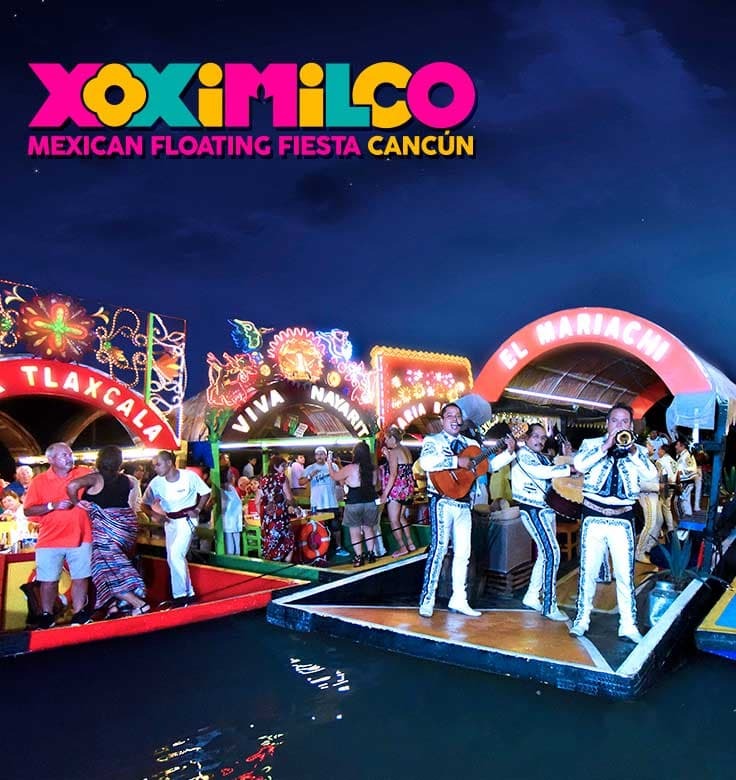 At Xoximilco celebrate on board party barges in a Mexican floating fiesta, where everyone’s invited. 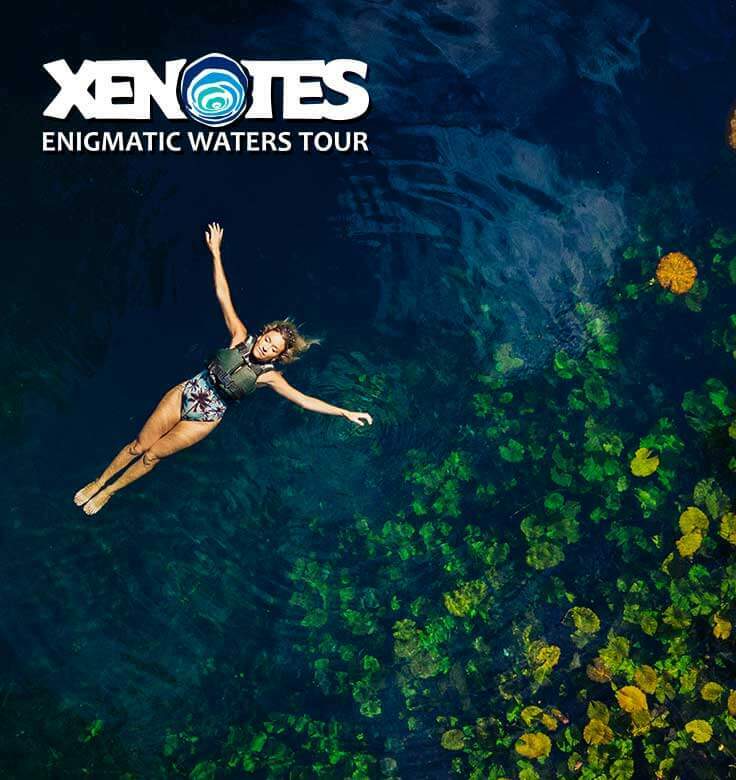 At Xenotes Oasis Maya visit four different types of cenotes, each one with different activities to enjoy. Spend very fun moments interacting with dolphins with Dolphin Ride at Xcaret and with Swim with Dolphins Interax at Xel-Há.